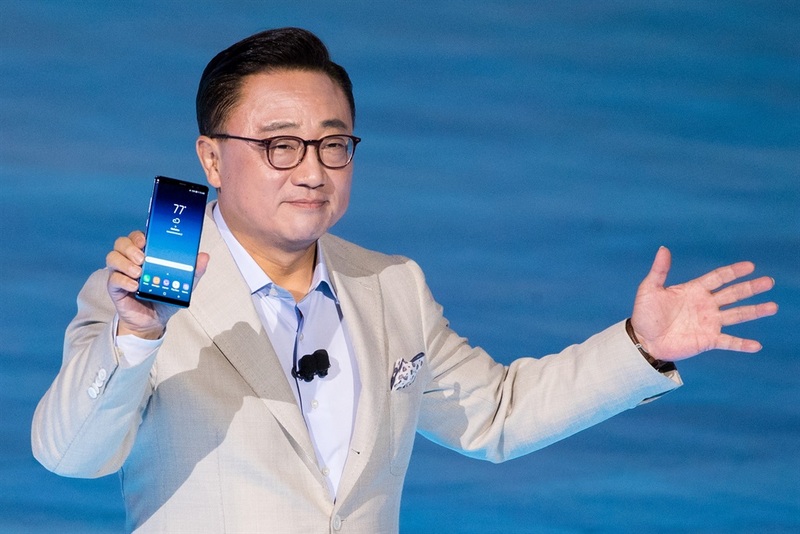 Samsung’s next-generation Galaxy S10 could deliver significant updates in design and features to the South Korean smartphone manufacturer’s flagship line of premium smartphones. At least, that’s what the rumours are suggesting. Even Samsung’s mobile-business leader, DJ Koh, has chimed in to hype up the next Galaxy S smartphone. If the rumours are accurate, we should expect a pretty significant overhaul in the Galaxy S10 lineup that could see the adoption of new technologies, next-gen specs, and a more modern design. The rumours paint a futuristic vision of the Galaxy S10’s looks. Most recently, Bloomberg has come out with a report that adds credence to some of the rumours below. There will be three models of the Galaxy S10. 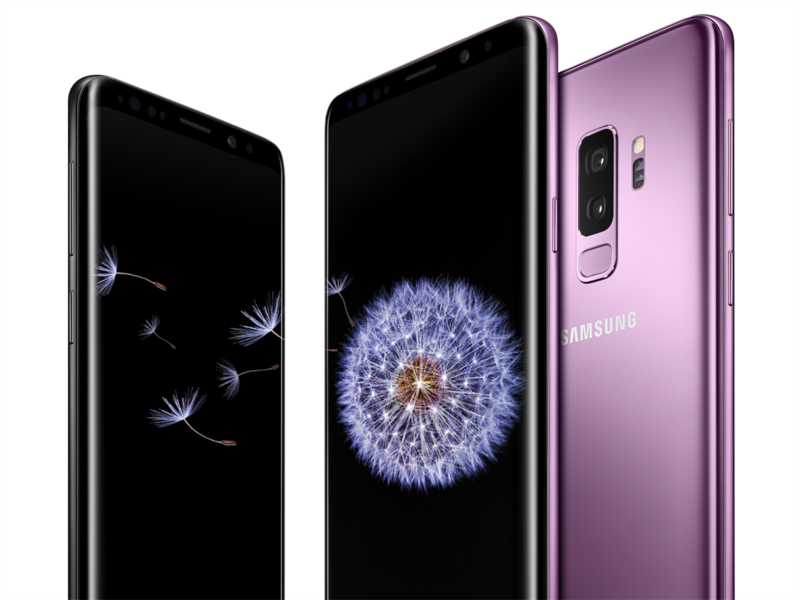 Samsung is supposedly planning to offer three variants of the Galaxy S10, according to the often reliable technology analyst Ming-Chi Kuo, who has accurately predicted elements of new Apple iPhones. Kuo believes one model will have a 5.8-inch display, another will have a 6.1-inch display, and the third will have a 6.4-inch display. The latest from Bloomberg suggests that one of the models will be a more budget friendly version of the Galaxy S10 that won’t come with the curved edges, but rather a more traditional flat display. There could be another variant that supports new ultra-high-speed 5G networks. The larger Galaxy S10 Plus model could come in two variations, one of which could have 5G support, XDA Developers reported, citing information it found in the code in an upcoming software update for the Galaxy S9 Plus. Bloomberg’s report suggests the Galaxy S10 models will be compatible with Verizon’s 5G network, but it isn’t clear exactly which models it was referring to, whether it’s the two higher-end models, or even all three models. 5G is a new wireless standard that promises extremely fast data speeds and potentially less congestion than today’s 4G LTE standard. That means 5G data speeds could still be fast even during times of peak data traffic. So far, however, 5G availability is extremely limited and hasn’t been fully deployed by most carriers. Rumours are suggesting that the Galaxy S10 will have a front-facing fingerprint scanner underneath the display. A front-facing fingerprint scanner embedded underneath the display is perhaps the most hotly anticipated feature that could come to the Galaxy S10 – and the rumour mill says it’s well on its way. It would certainly add to the futuristic look and feel of the Galaxy S10. So far, some phones from Chinese manufacturers – including Vivo, Xiaomi, Oppo, and Huawei – have this kind of hidden fingerprint sensor. 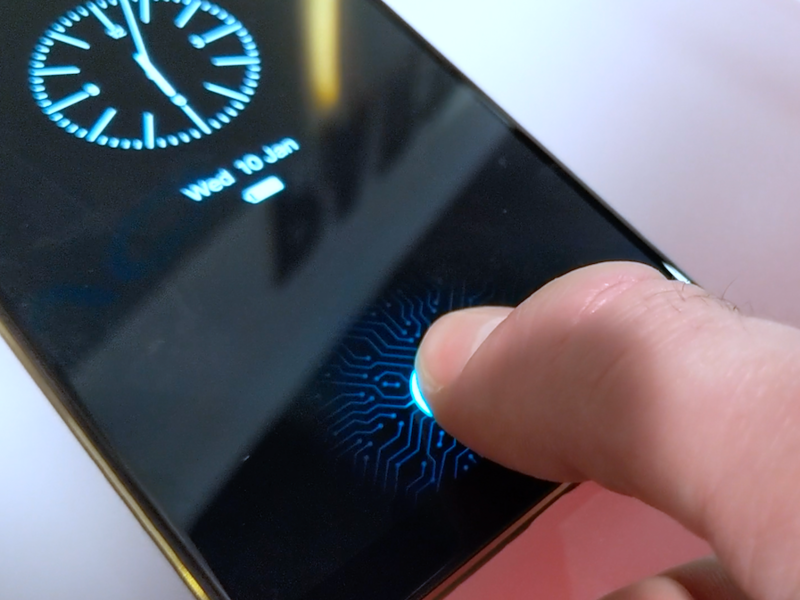 One of the latest rumours is that embedded fingerprint sensors will come standard on two of the upcoming Galaxy S10 models, according to The Investor, as well as a more recent Bloomberg report. Samsung is still deciding whether or not the lower-end Galaxy S10 model with a supposedly flat display will come with an in-display fingerprint sensor, according to Bloomberg. The Investor suggests it could have a regular fingerprint scanner on the side of the phone. The rumour lines up with Kuo’s earlier predictions. DJ Koh has said the Galaxy S10 design will have “very significant” changes over Samsung’s previous Galaxy smartphones. The head of Samsung’s mobile division didn’t elaborate on the changes, but there could be a clue in a rumoured change in the Galaxy S10’s earpiece, which you’ll see in just a moment. The latest Bloomberg report did elaborate on the potential new design for the upcoming Galaxy S10. 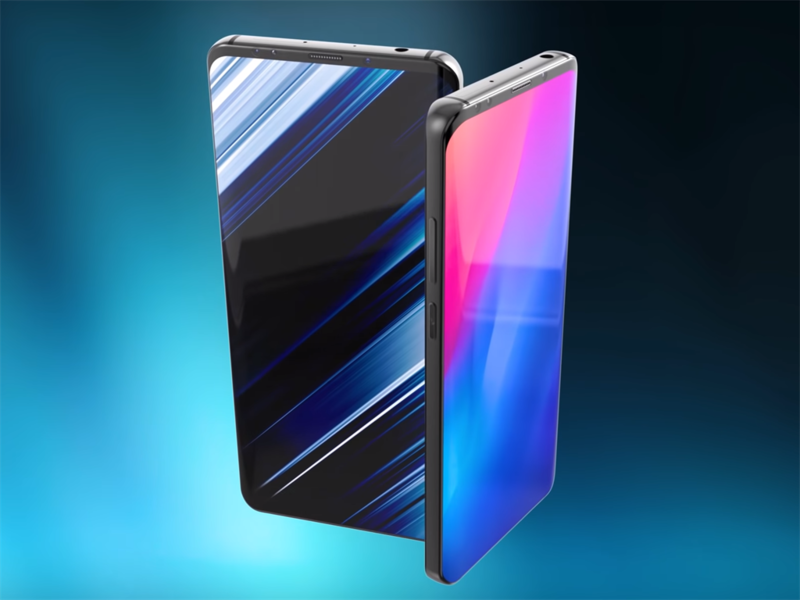 It’ll supposedly have “almost no bezel” on the top and bottom of the phone. The front camera is also said to be “tucked” underneath the display, which could mean that Samsung found a way to hide the front-facing selfie cameras and sensors underneath the display, thus eliminating the need for a notch. The Galaxy S10 won’t have a traditional earpiece. The earpiece on the Galaxy S10 won’t actually be an earpiece, according to ET News. Supposedly, phone-call audio will be transmitted to a user’s ear not with a traditional speaker, but with vibrations emanating from the display. Without a traditional earpiece, there would be no need for an opening from which sound can escape. 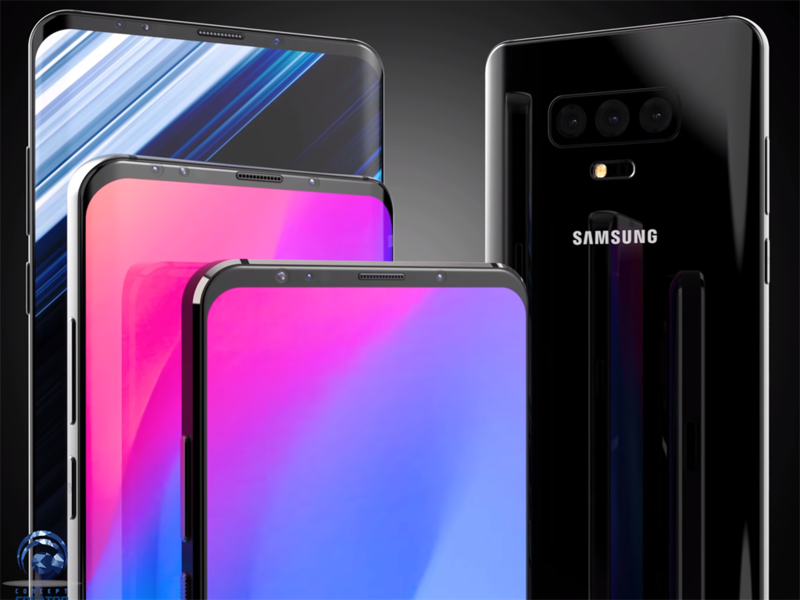 Fewer ports and openings could lead to a cleaner and more modern design, but it could also point to narrower bezels coming to the Galaxy S10. 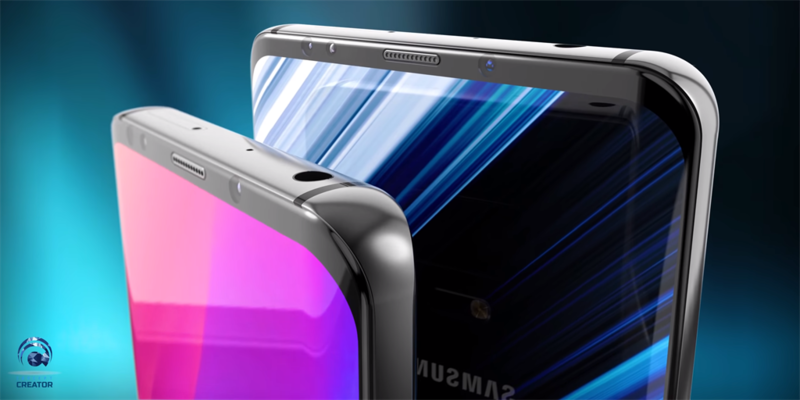 It could even allow Samsung to make an all-screen front surface without the need for an iPhone X-style notch. Still, the front-facing cameras and sensors need a hole to peek out of somewhere, so it remains to be seen how Samsung could accommodate those with the Galaxy S10 design. It might have a camera with three lenses. 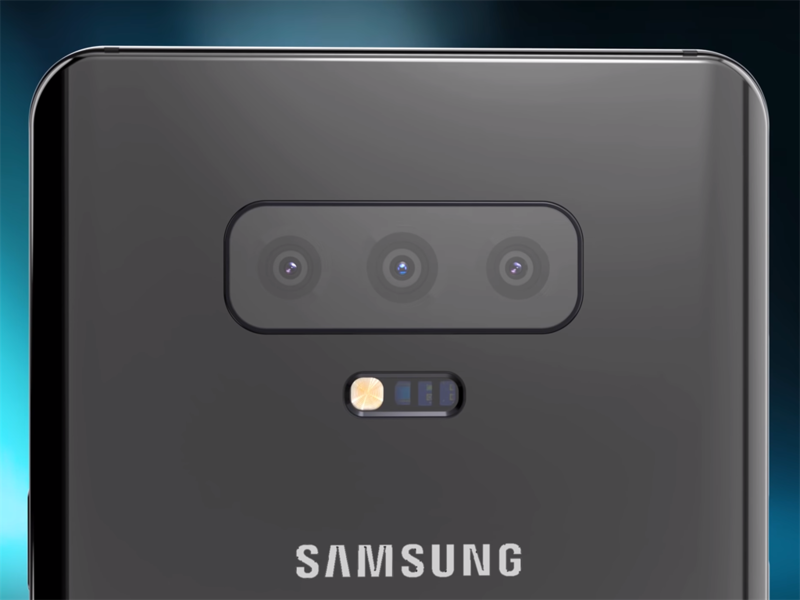 So far, the rumours suggest that the Galaxy S10 will have three rear camera lenses and two front-facing cameras, according to The Bell, a Korean news outlet, as well as the latest Bloomberg report. The Bell reports that the extra lens on the back will be a 16-megapixel ultra-wide-angle lens, similar to the ultra-wide-angle lens on LG G and V phones. The lens will come in addition to the 12-megapixel optical-zoom lens and standard wide-angle lens on Samsung’s current-model Galaxy S and Note phones. The dual-lens system on the front, meanwhile, could allow for an iPhone X-style portrait mode while taking selfies. 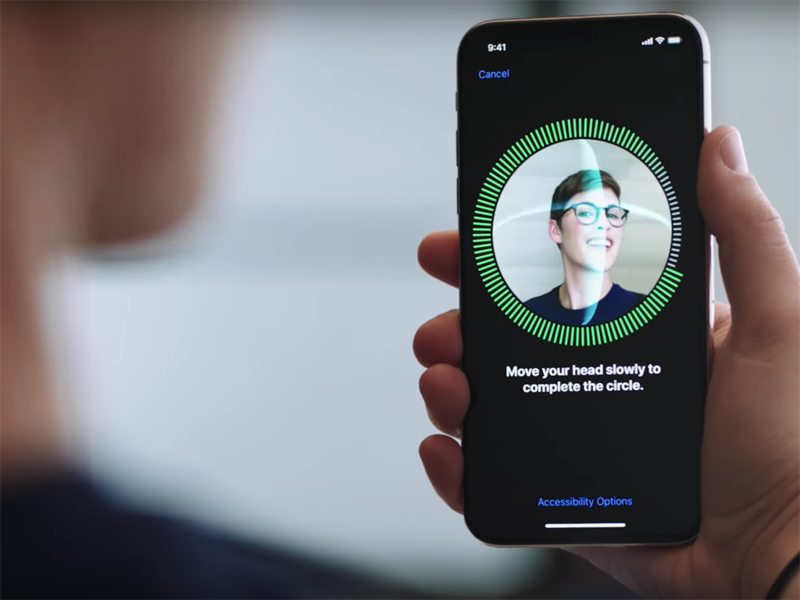 The Galaxy S10 might a have 3D face scanner to unlock your phone, similar to Apple’s Face ID system. A face scanner for unlocking the phone will feature in the Galaxy S10, potentially creating an opportunity for augmented-reality stickers, The Investor reported, citing Samsung’s partnership with Mantis Vision, a company that develops 3D-sensing camera technology. Samsung might ditch the headphone jack in the Galaxy S10. The Galaxy S10 may not come with a headphone jack, according to Bloomberg. Apparently, Samsung hasn’t finalised that decision yet. 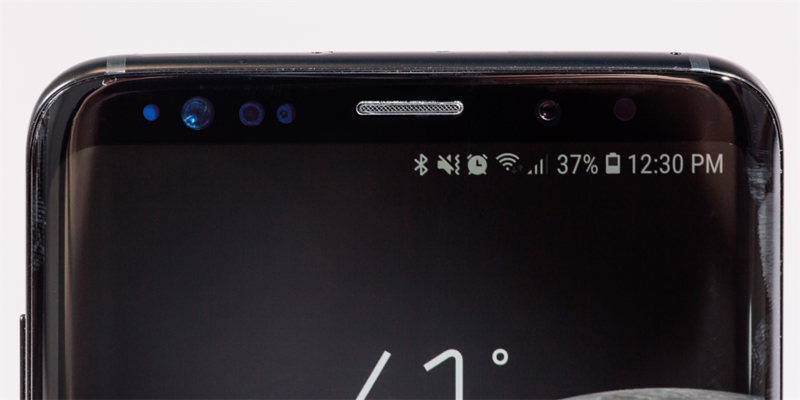 If it follows through with ditching the headphone jack, the Galaxy S10 would be the first Samsung Galaxy phone to lack the port. It’ll come with next-gen specs. 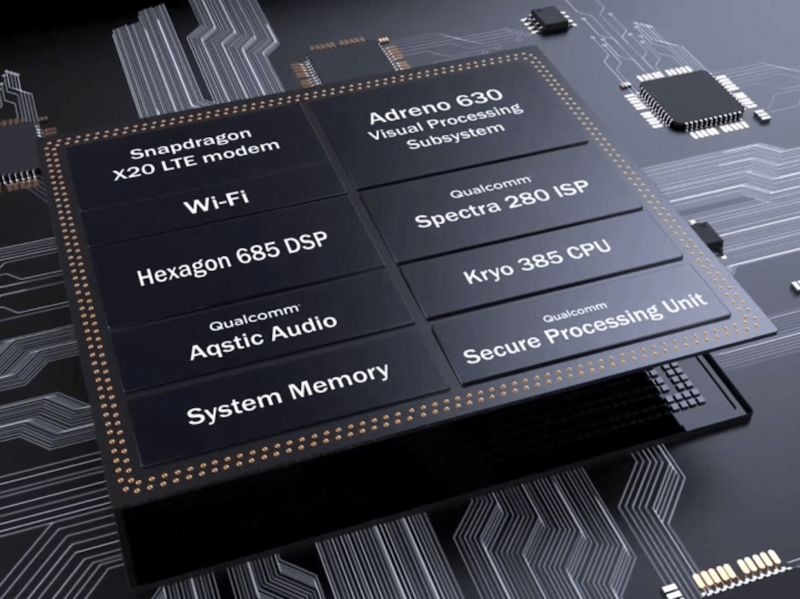 It’ll most likely run on the latest and most powerful chip from the mobile chipmaker Qualcomm, the Snapdragon 855, according to Phone Arena. Most smartphone models from 2018 are running on the Snapdragon 845. The Galaxy S10 is also said to sport faster memory technology for both RAM and storage, which could boost the phone’s performance. It’ll come with an updated version of Samsung’s “Experience” interface that runs on top of Android. First and foremost: It’ll be surprising if the Galaxy S10 doesn’t come with the latest version of Android, Android 9.0 Pie. Bloomber’s report suggests that it will come with the latest version of Android. Samsung’s phones usually sport a tweaked version of Android, with a slightly modified interface. That interface to be called “TouchWiz,” but it has been called “Experience” for the past few years. Samsung’s latest Experience 10.0 interface on the Galaxy S10 is said to come with a wide variety of design and function updates, which you can check out at XDA Developers or in the video below. Samsung apparently hasn’t adopted the new navigation gestures from Android 9.0 Pie, based on what we know today. It’s likely to be released around March, but the price tag is unknown. If Samsung follows its usual smartphone release cycle, the Galaxy S10 could be announced in February and released in March, much like the Galaxy S9. As for price, few rumours exist, so it’s hard to tell. But it’s likely to have a price tag similar to the Galaxy S9, which retails at around R14,000. Perhaps the smaller model with a supposedly flat screen could cost less – but at this point, that’s pure speculation.